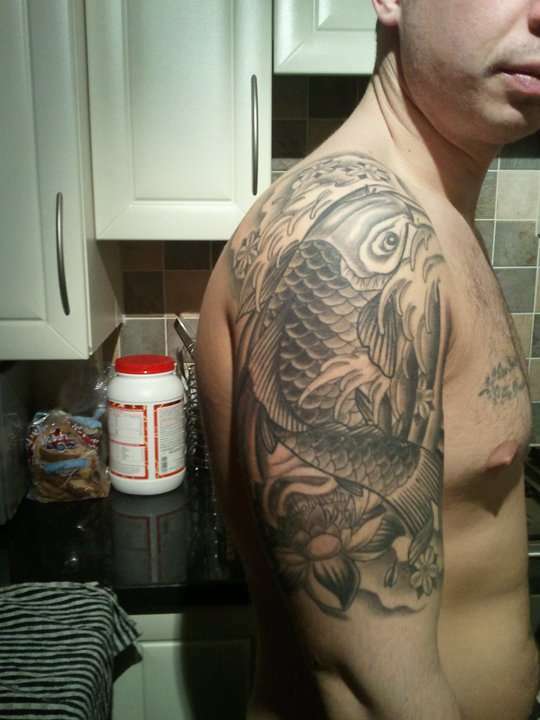 here is my black and grey koi tattoo...so far is half sleeve but thinking of going full..was done by ronie froberg at miks tattoos carlisle! Good work really dig it. I'm partial to Black & Gray.Reminds me of mine.